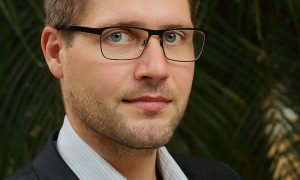 While Canon’s principal focus at NAB 2019 will be on promoting and extending the capabilities of its 4K HDR broadcast lenses, there will be continued speculation and hints of actual news about its plans for the 8K live market. The company has been teasing an 8K broadcast product since 2015/16 when it debuted a prototype of a Super35 sensor camera body with 8K lens. 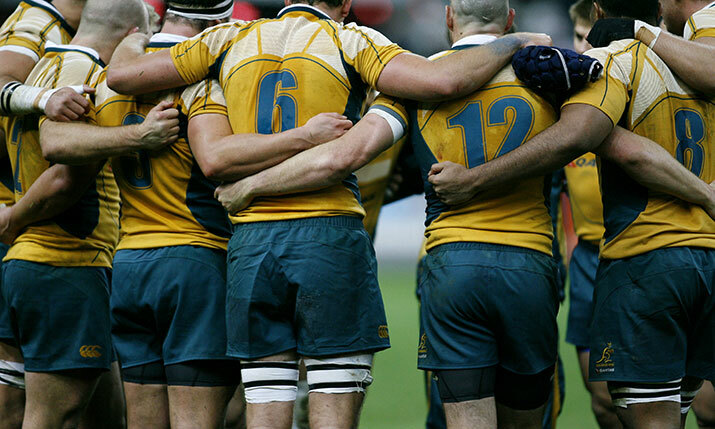 It’s since been testing the technology, along with a workflow that includes an 8K HDR display and signal over optical fibre network (both prototype) including at the Bledisloe Cup rugby union match between New Zealand and Australia at the Nissan Stadium in Yokohama City last autumn. “It’s a working proof of concept to show that we can do 8K and when the market is ready we’ll have an end to end chain we can bring to market,” says Stephen Hart Dyke, Professional Imaging/B2B product marketing manager, Canon Europe. Adds Blazej Klacansky, channel development manager, “We have an 8K sensor, we have 8K lenses and we make our own processing chips so image capture is not a problem. The other challenge is the market demand for 8K. Even Japan’s NHK is only transmitting limited programming in Super Hi-Vision. 2001: A Space Odyssey, with which it launched a channel last December, was rescanned to suit the format. Klacansky: We have an 8K sensor, we have 8K lenses and we make our own processing chips so image capture is not a problem. Despite this, Canon has already made an 8K lens for the 1.25-inch size of Sony’s UHC-8300’s sensor. Canon is clearly intent on building out its own 8K broadcast and cine set and is tapping some of the U$3bn the firm has invested over the past year in R&D to make it happen. One of these drivers will be 8K activity around the Tokyo Olympics in 18 months. Fan zones around stadia are being lined up as one application for 8K content. Canon itself has tested wide-angle video captured using an 8K camera and a fisheye lens at the Bledisloe Cup. The output was transmitted from the stadium, converted in real time for wide-angle projection using multiple 4K projectors and viewed live at Canon’s Tokyo HQ. Canon cooperated with partner companies to produce three-dimensional sound overlaid on the pictures and has plans to develop this technology for immersive sports viewing applications. However, developing an 8K lens for sports is technically more challenging than that for cinema. “In the cinema world you have more artistic expression and the lens can have various faults which lend the image distinct characteristics but for sports, you need a best in class image,” says Klacansky. Leaving aside trying to make an 8K 2/3 chip camera chain (which no manufacturer has cracked), one of the keys is to achieve a consistent resolution all the way around the frame, not just as its centre which is why all lenses outperform the nominal peak resolution of the sensor. “You naturally lose some of the light through the optics and in addition lenses are naturally spherical and will deliver a higher sharpness at the centre than at the edge,” says Klacansky. Canon’s 4K premium range lenses, for example, exhibit a 6K or more resolution in their centre delivering at 6K in the centre and corners of the image; its lower end 4K range delivers 6K in the centre and 4K to the corners. “For 8K you would need a higher spec lens design in the centre of 12K, 14K even 16K depending on the category of the lens you require,” says Klacansky. While 8K remains work in progress (some broadcasters are still to transition from SD) Canon is busy enhancing its 4K lens range. Chief among these are the flagship UHD DIGISUPER 122 and its counterpart UHD-DIGISUPER 111. Both lenses were used by NEP during live coverage of the AFC Championship game in the NFL between the Kansas City Chiefs and the New England Patriots. According to Canon, the 122 field zoom broadcast lens can achieve the world’s widest angle, boasts the world’s longest focal length (8.2 mm at the wide end and 1000 mm at the telephoto end and extender can double that) and the world’s highest zoom ratio of 122x. ESPN is among the broadcasters to have tested them. 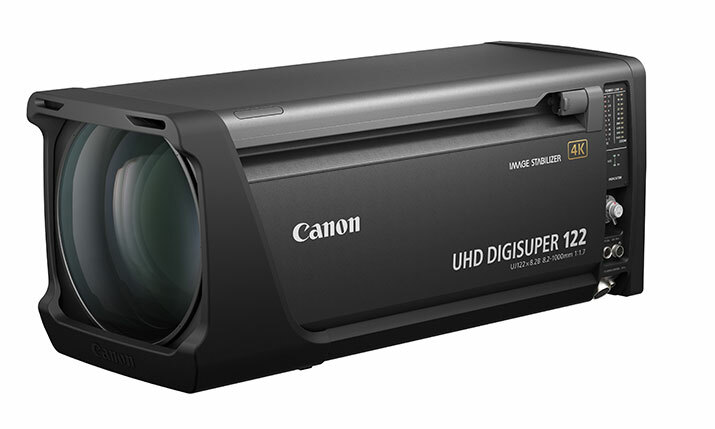 The UHD DIGISUPER 111offers a 111x zoom ratio and a focal length range of 8.3 mm to 925 mm. Both new lenses come with a proprietary Air Sphere Coating (ASC) that reduces flaring and ghosting for shooting in HDR and Wide Color Gamut. ASC was another result of Canon’s U$3bn R&D spend. Arriving as standard in both lenses from NAB will be a function that enables operators to create bokeh. More familiar to cinematographers, the effect which delivers an aesthetically pleasing blur in the out-of-focus parts of an image, has been used by programme-makers in Japan but Hart Dyke says sports producers are keen too. This fits into a trend that Canon has spotted in the production of behind-the-scenes programming with cine-quality production values. Citing Amazon Prime’s Manchester City doc All or Nothing, Hart Dyke says filmmakers are looking for a more artistic look from cameras like a Canon EOS 300 Mk11 from the touchline, training ground or changing room. Another R&D project for Canon is a Free Viewpoint Video System. This uses multiple high-resolution cameras installed throughout the stadium to allows fans to view a match from various different angles and points of view. Intel has a similar system but Canon says its technology has superior optics allowing users the option of zooming into the action rather than just picking a fixed viewpoint. “We’ve successfully produced video footage from a trial of the system,” says Hart Dyke “Visual data from the camera feeds is processed to create video that can be freely manipulated to enable viewing from angles impossible to capture through conventional methods.